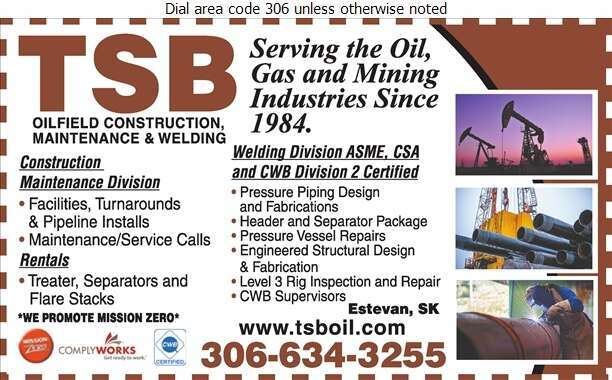 TSB Oilfield Construction Welding & Maintenance has vast experience in the oilfield industry, and provides a range of services to those throughout Saskatchewan. As a family, locally owned and operated business since 1984, we are dedicated to the success of your company. We thrive on creating a personalized, simple experience for each of our customers. Here, you will be working directly with a professional to fill your needs in a timely and efficient manner. We specialize in oilfield facility construction, skid package construction, and installation services at the industrial level. At TSB, we are also on-call 24/7 for your convenience. Additionally, we offer oilfield equipment rentals that include treaters, separators, flare knockouts, and flare stacks.